Clarke heads over in a good position. He berates himself. Thanoj's free kick zips across the face of goal. Wxm: Mayebi, Carrington, Livesey, Stephen Wright, Neil Ashton; Joe Clarke, Jay Harris, Dean Keates, Johnny Hunt; Andy Bishop, Joe Anyinsah. 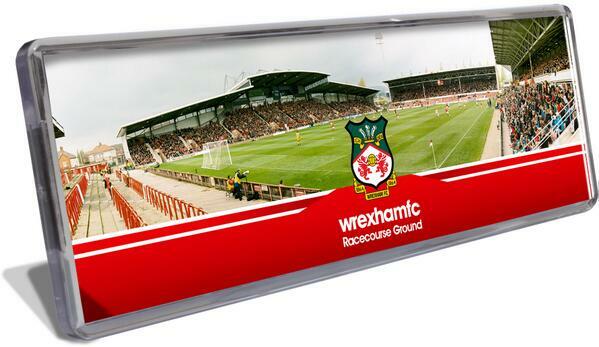 Wxm subs: Steve Wright, Steve Tomassen, Rob Ogleby, Brett Ormerod, Bradley Reid. 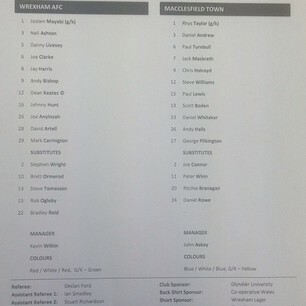 Andy Coughlin has a bad back so not involved, while Bradley Reid is on the bench after turning his ankle last week. Dave Artell also starts. Harris booked for a coming together with Williams (Macc). Second half underway - no changes either side. 49' Jos save at foot of post from Boden. 53' Curling effort from Whittaker only inches wide of post as Jos dives to left. 87" Johnny Hunt need man of match.